You are here: Home / Mortgage Loan / Why Are Jumbo Loans So Important In California? Why Are Jumbo Loans So Important In California? California is a jumbo state, so it is not surprising that jumbo mortgages are important here. In fact, more so than in almost any other state, jumbo mortgages are important in California. Why? In a word…prices. The higher the price for real estate, the more likely that a jumbo loan might be required. First, what’s the difference between a jumbo home loan and a conventional mortgage. A conventional mortgage fits within the conforming loan limits established by Fanny Mae and Freddie Mac. For the tenth year in a row, that limit is $417,000 for a single family dwelling and $800,000 for a four-unit property, such as a double duplex. These limits cover both new home mortgages and refinance loans. By “limits”, we mean that this is the maximum that a person can borrow against the property under the terms of a conventional mortgage. Not all loans have to conform to Fanny Mae’s and Freddie Mac’s limits, and that’s where it gets complicated. We won’t go into all the divergences in this article, but we will look at one: geography. The FHA has designated 46 counties for higher loan limits. The $417,000 might be a piece of cake in Nebraska – did you know there are counties with a medium home value as low as $39,000? – but that does not work as well in a town like Bradbury, CA, where the median price is over $1,300,000. Nevertheless, the FHA has announced loan limit increases for 46 counties, including four in California. If this seems strange, that these are not the counties with the highest home prices, you are correct. In fact, the highest-priced zip code in California is Atherton in Silicon Valley’s San Mateo County. The second most expensive zip code is Beverly Hills, in Los Angeles County. The third most expensive zip code is in Santa Monica, also in Los Angeles County, followed by Palo Alto in Silicon Valley’s Santa Clara County. These four zip codes are the second to fifth most expensive zip codes in the entire nation in which to by property. They are in Los Angeles and Silicon Valley, and none of those counties qualify for a higher loan borrowing limit. The next most costly zip codes in California are found in Newport Beach, Orange County, then two more in Silicon Valley, one in San Matteo County and one in Santa Clara County. California’s eighth most expensive zip code is in Santa Barbara in Santa Barbara County. Only after that do we come to a zip code in San Diego County, one of the four counties with higher loan limits. So we have a whole lot of very expensive property in California, and we have fairly tightly controlled loan limits for conventional mortgages. That is why jumbo mortgages are so important in California. Of course, if you are moving from Newport Beach to Palo Alto, it might not be a big deal. After all, you’ll be selling some pretty expensive property and using that collateral as down payment. But if you are moving from Iowa or Arkansas or northern Michigan, or a county in Nebraska where the median home price is $39,000, it will take a huge mortgage to move from your old upper middle class house to a new one in Silicon Valley or anywhere within spitting distance of Los Angeles. If you need a jumbo mortgage anywhere in California, Florida or Georgia, we’ll be happy to arrange it. We’ll make sure you qualify and we’ll hunt down the best rate available from all the banks, trust companies and private sources we have access to in our ever-growing network. 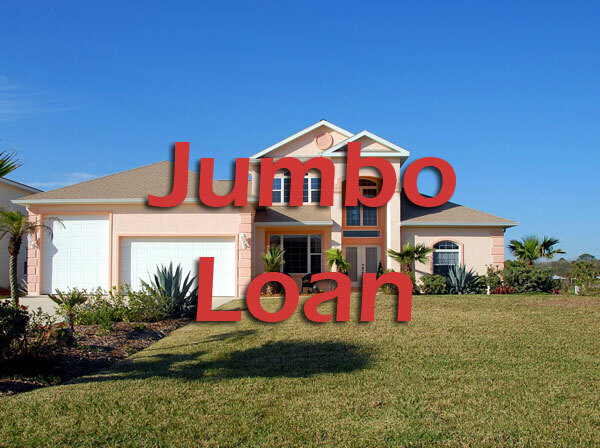 “Jumbo” should refer to the size of the mortgage only – not to the interest rate you have to pay.